When I hear "hydroponics" I always think of sci-fi and long missions to deep space. Fortunately, hydroponics is much more rooted in reality than the genre suggests, and this brings us neatly to Opcom Farm and their indoor hydroponics systems. Todd digs with Ray from Opcom and discovers how to garden in your garage. 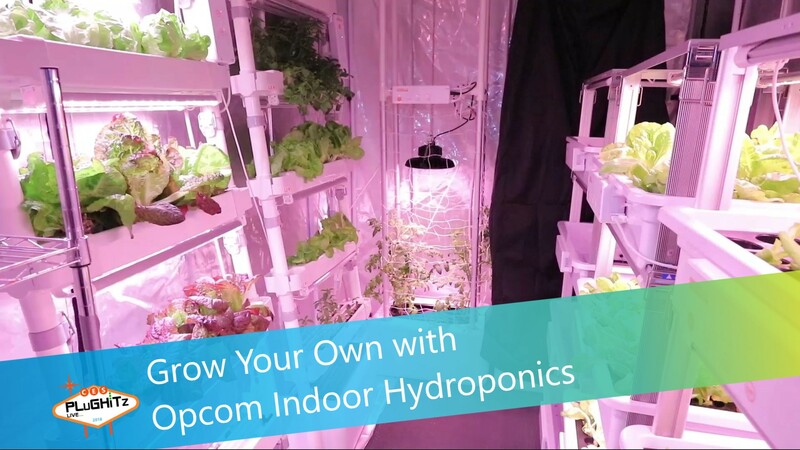 Opcom offers everything needed to setup a home hydroponics garden except the space. Even then, the GrowPod can create space within another area, such as a garage, for the racks and shelving needed for a hydroponic garden. These days all the lights are LED, so energy costs are kept low, and there's a range of units from the simple O2-Light to a full GrowWall. It all depends on the budget - a GrowPod starts at $2000. There's plenty of information on Opcom Farm's website and some products are available from Amazon.com. Others are on pre-order for delivery in 2018.